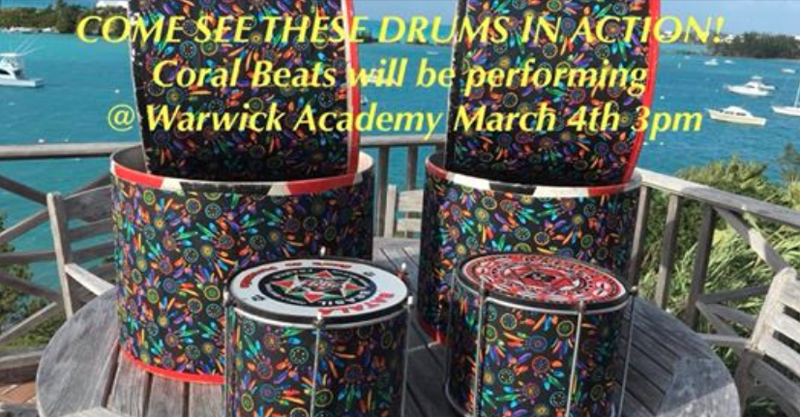 Coral Beats, a Bermuda all-women Brazilian Samba/Reggae drum band, is set to offer a free concert on Sunday [March 4] at the Warwick Academy quadrangle at 3.00pm. 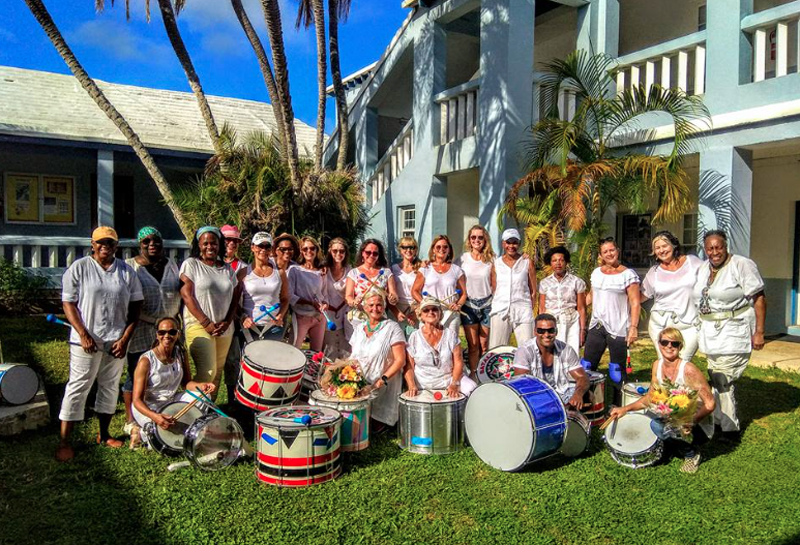 A spokesperson said, “Coral Beats is a Bermuda all-women Brazilian Samba/Reggae drum band. They practice once a week and their members enjoy themselves by learning to play the rhythms of Brazil. “This week they are in a four day workshop with Mestre Bola, who is from Brazil and has come to Bermuda to conduct the workshop. At the end of the four days on Sunday afternoon at 3.00pm at Warwick Academy, they will hold a free concert.